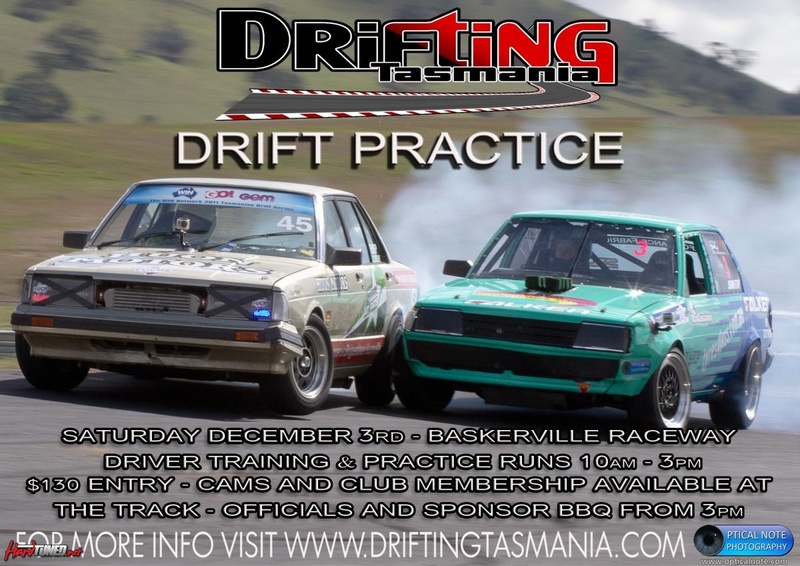 Well with enough response for a want for another practice day Drifting Tas has managed to bring us another praccy for the year! 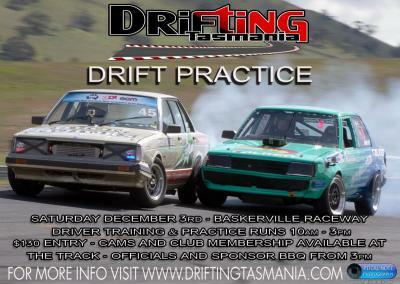 Sponsor rides will be from 11:30am - 12:30pm again, so ALL sponsors intending to participate in getting in with drivers need to be at the track BY 11:15am to sign disclaimers. Regular practice runs will be allowed during the sponsor hour as well. Please note that vehicles with CAMS approved cages will be able to take other drivers as passengers for training purposes at any time throughout the day! The usual dress code applies = Covered from ankle to wrist to neck, no polar fleece jumpers and leather upper shoes. Approved helmet is also expected on the day.